While most on Wall Street these days are huddling in yield plays, Jeff Ubben seems to be taking on more risk. 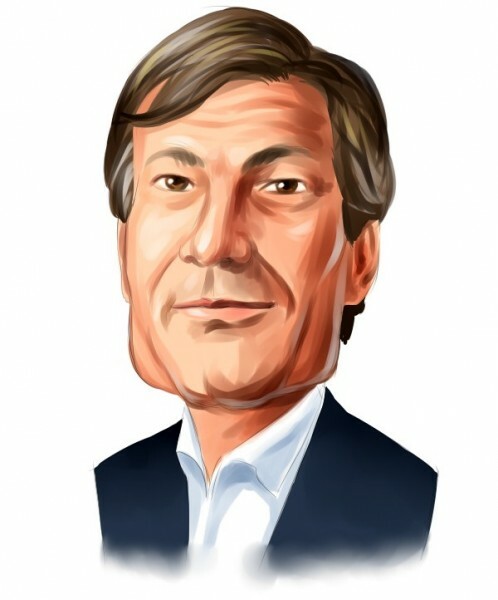 His activist hedge fund ValueAct turned heads Friday with the disclosure of a new large stake in Seagate Technology. This follows the purchase of battered bank Morgan Stanley in mid-August. The ValueAct chief executive officer told CNBC PRO why his fund is buying these riskier names. Seagate announced the hedge fund will acquire a 9.5 million share stake in the company through a secondary transaction conditioned on regulatory approval. Perry Capital, the 28-year-old hedge fund run by Goldman Sachs Group Inc. alumnus Richard Perry, has lost more than half of its assets in less than a year after posting declines since 2014. The firm’s assets slumped to $4 billion as of the end of August compared with $10 billion in September last year, according to a person with knowledge of the matter. Perry, based in New York, has posted losses of 18.4 percent from the beginning of 2014 through July of this year, an investment document shows. The fund declined 2.6 percent in the first seven months of this year after losing 12.6 percent in 2015. Michael Neus, general counsel at Perry Capital, didn’t return calls and e-mails seeking comment. Activist investors that push for better returns by urging corporate actions such as sales and acquisitions and cost cutting posted their best returns in months in August, when bets on a wide range of smaller companies paid off. Marcato Capital Management‘s International fund gained 3.1 percent while its Encore International fund climbed 4.7 percent, weeks after the firm announced two new investments in July. August’s gains, following on the heels of double-digit returns in July, put the International fund back in the black for the year with a 0.2 percent gain. The Encore fund has gained 11 percent since January, an investor said on Friday. Marcato, which invests $1.5 billion and is run by Richard McGuire, in July unveiled bets on crane and heavy equipment maker Terex Corp and sports bar chain Buffalo Wild Wings, whose share price, it said, could nearly triple if management improved the business.